Twitter is cracking down on bots and automated tweets, making it harder for them to spam the site using third-party apps. “To be clear: Twitter prohibits any attempt to use automation for the purpose of posting or disseminating spam, and such behaviour may result in enforcement action,” said Yoel Roth, Twitter's head of API policy and product trust, on the company's developer blog. Roth said the changes are aimed at stopping malicious intervention in “crucial conversations happening on Twitter” – particularly those involving elections. Third-party apps must no longer let users tweet the same message to several accounts at the same time. 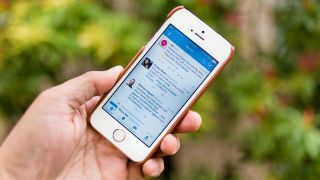 Twitter recommends using retweets as an alternative, but warns that particularly aggressive re-tweeting also counts as spam. The new policy also forbids liking or retweeting messages through multiple accounts at the same time. Twitter updated Tweetdeck on Wednesday to remove this feature. Posting tweets with the same hashtag over multiple accounts at once is also against the rules, except for public information such as weather reports or earthquake alerts. The rules will come into force on March 23, and any developers who don’t update their apps in time risk having both their apps and accounts suspended. It advises any developers with questions about the new policies to check out its official forums. The move makes sense – like Facebook, Twitter is investigating use of its platform to interfere in the 2016 US elections and looking for ways to prevent a repeat. In January, Twitter identified and suspended 3,814 accounts with links to Russian propaganda organization the Internet Research Agency. These accounts posted 175,993 tweets during the 2016 US Presidential election campaign, 8.4% of which were related to the election itself. After banning the accounts, Twitter sent emails to 677,775 users in the US who followed them, or liked or retweeted one of their tweets.